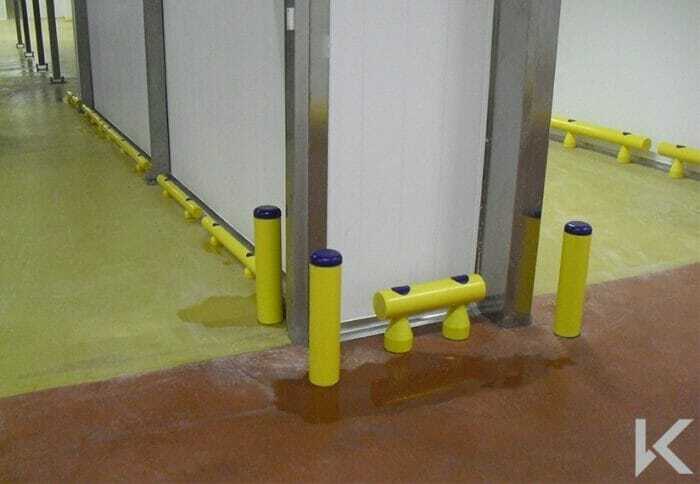 This range of barriers is constructed from high density polyethylene (HDPE) which is corrosion resistant, easy to clean and is not conducive to the growth of fungi or bacteria. The fact that the barriers are machined from solid HDPE also prevents any internal storage of moisture or contamination. 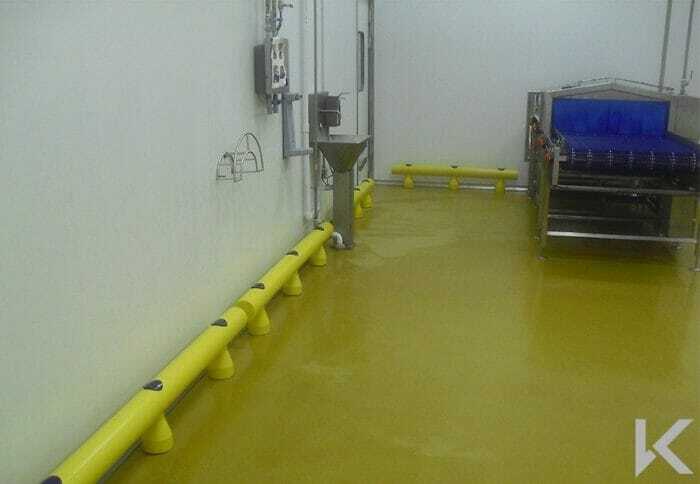 The yellow HDPE is highly visible to improve safety and does not require any painting. 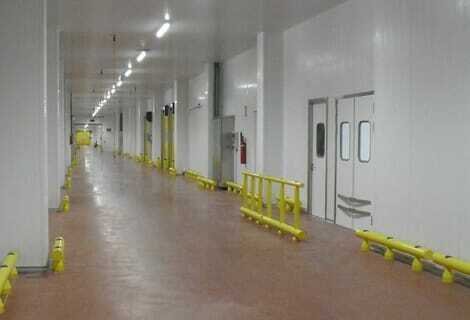 The system is flexible enough to withstand the majority of impacts and has been tested to withstand over 9 tons. 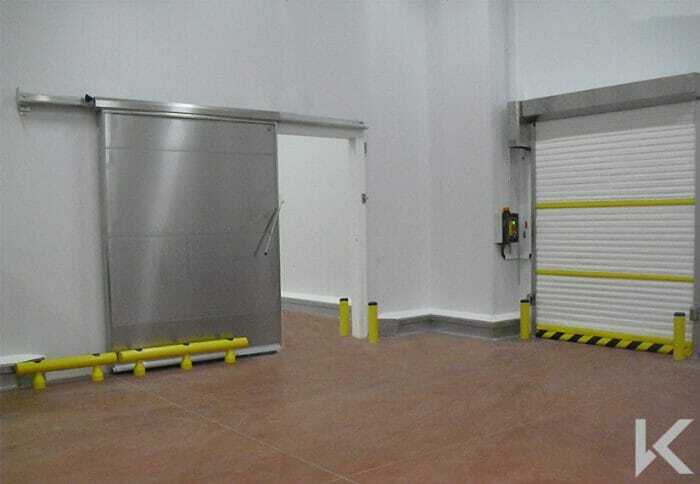 However in the event of a very serious impact the system utilises a floor anchorage system which is very easily and economically replaced as well as minimising the risk of damage to your floor. 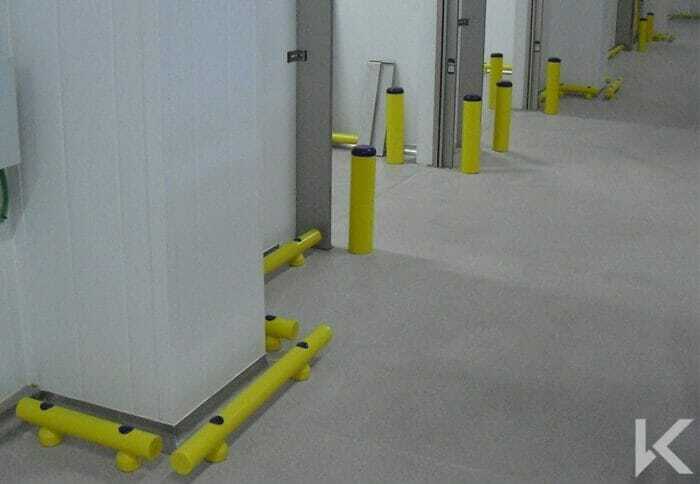 Our HDPE bollards are available from 70mm to 120mm diameter and from 260mm to 800mm tall to provide protection for areas such as doorway jambs and the door columns. 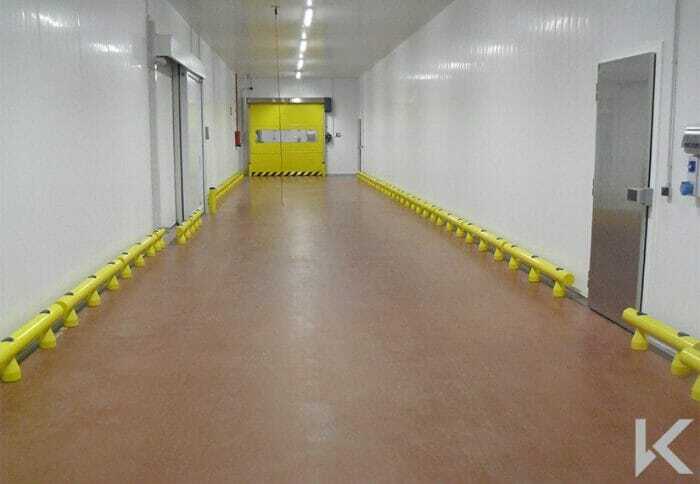 The bollards are constructed from a solid block of HDPE which has the advantage of being tough and impact-resistant as well as providing a hygienic finish which can be easily cleaned. 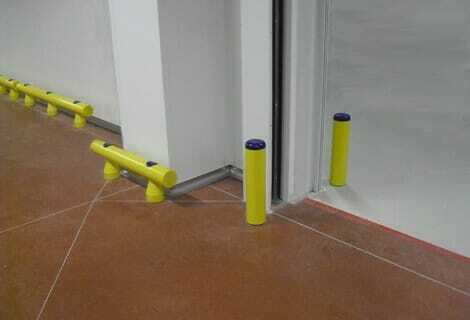 The bollards also feature our unique anchorage system which protects the floor and minimises the cost of damage and repair. The HDPE guardrail are available from 70mm to 120mm diameter and from 125mm to 1100mm tall by up to 2500mm long. These guardrails can be constructed with a single or double rail and are commonly used to protect walling systems or machinery. 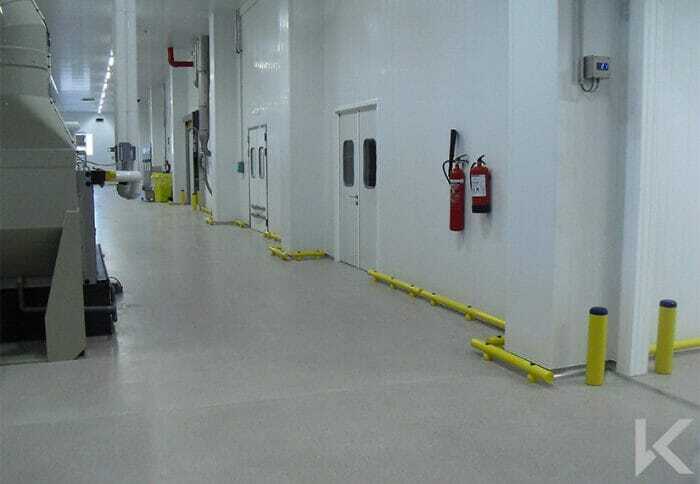 The products are constructed from a solid block of HDPE which has the advantage of being tough and impact-resistant as well as providing a hygienic finish which can be easily cleaned. 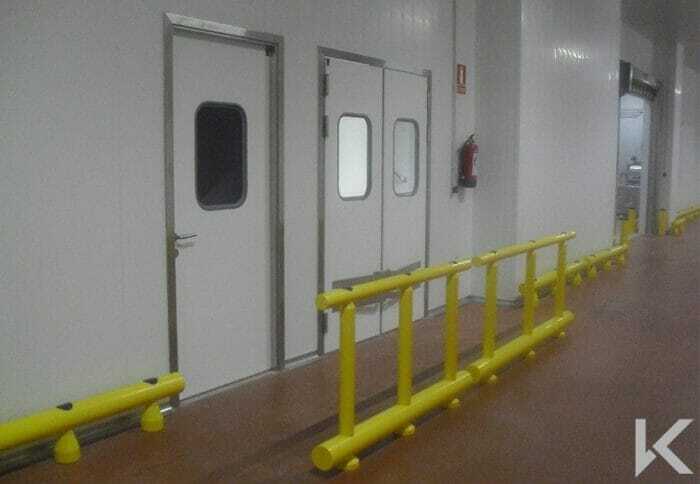 The rails also feature our unique anchorage system which protects the floor and minimises the cost of damage and repair. The standard guardrails can also be extended to include a personnel guardrail to provide effective pedestrian segregation. 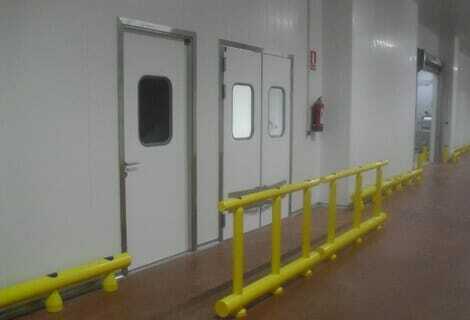 This allows the height of the guardrail to be extended to 500mm; 800mm; 1000mm; or 1100mm. 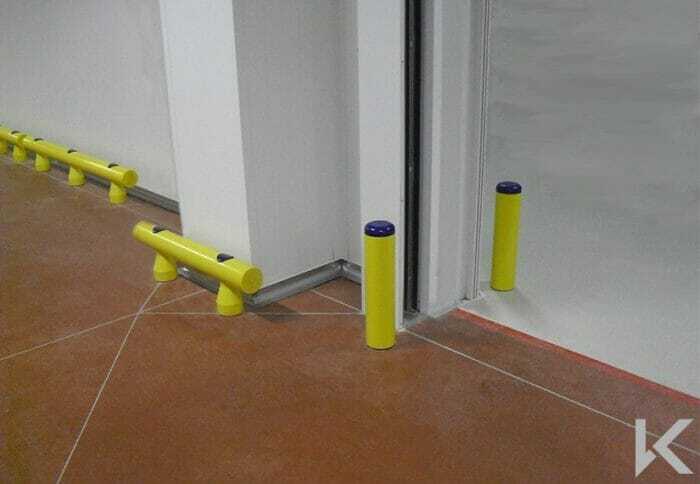 This product is very popular to ensure the protection of personnel along busy walkways or around doorways. The system features the same unique impact resistant design as the rest of the TektaSure range. 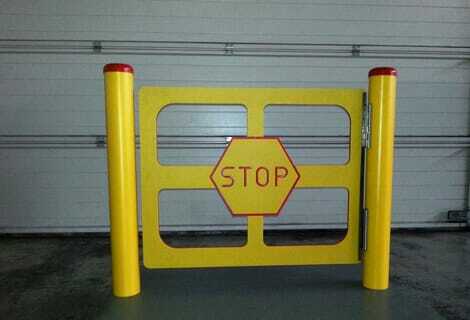 As an externsion to the HDPE bollard and barrier system we can also supply pedestrian gates. 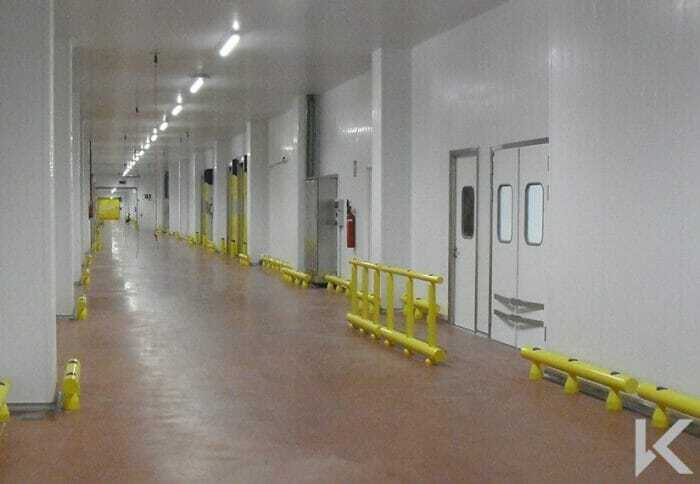 These are constructed from the same high visibility yellow HDPE material as the rest of the system which makes them a great choice for food factories. The gates can be used at the end of pedestrian walkways or where a walkway crosses a vehicle route in order to help prevent accidents.